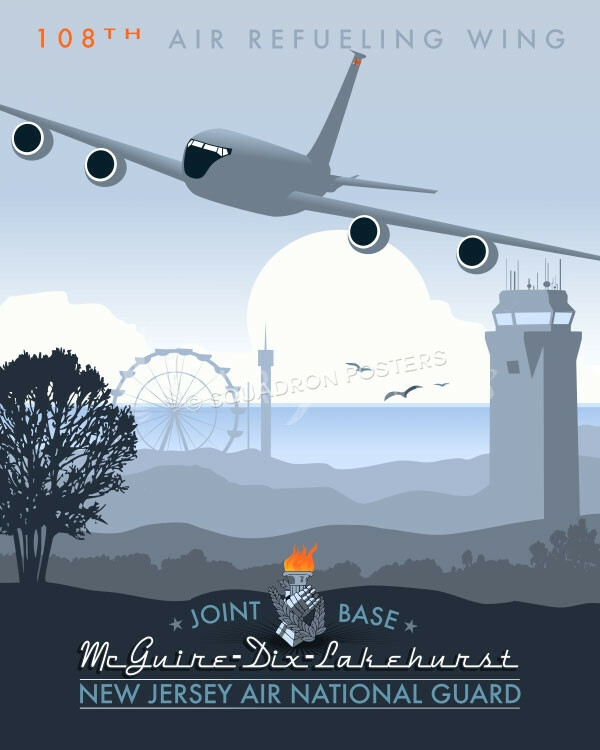 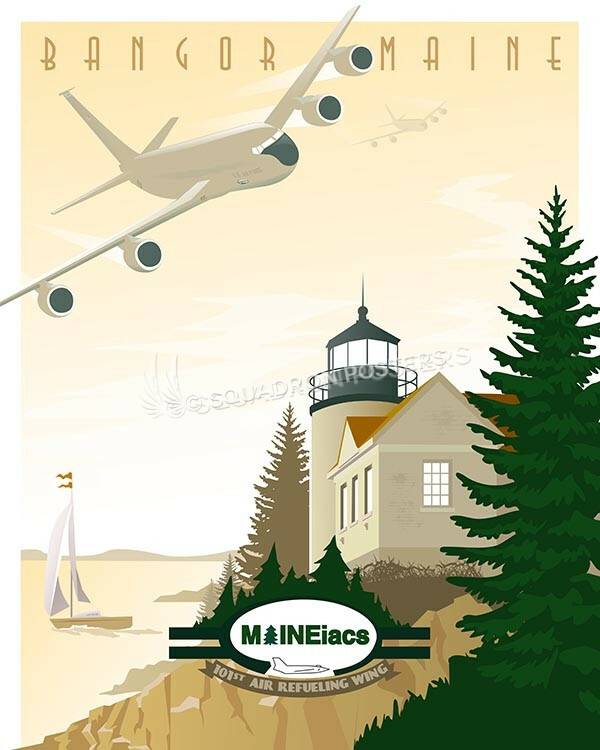 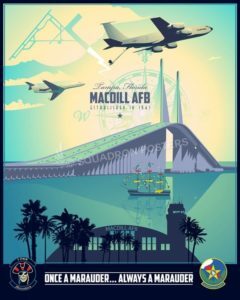 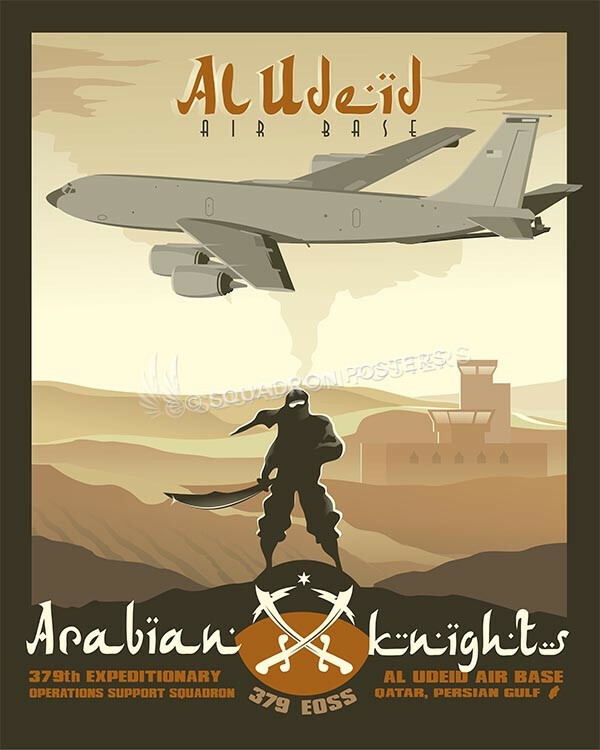 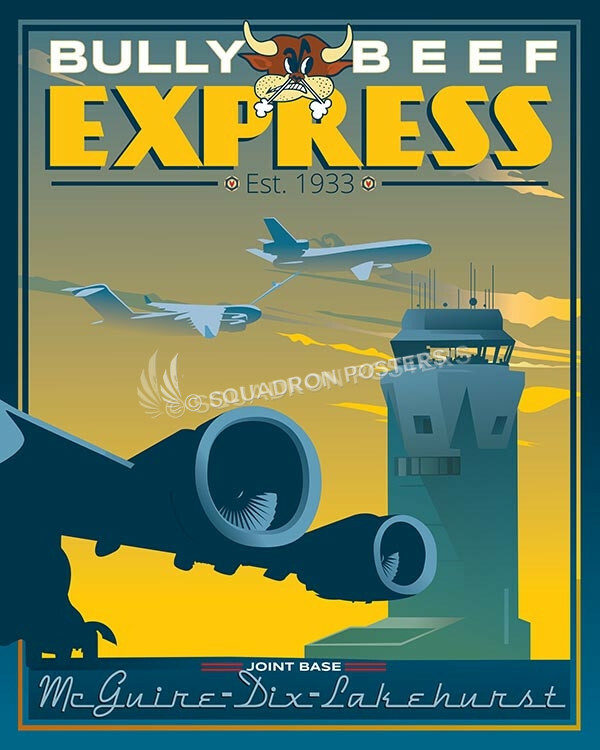 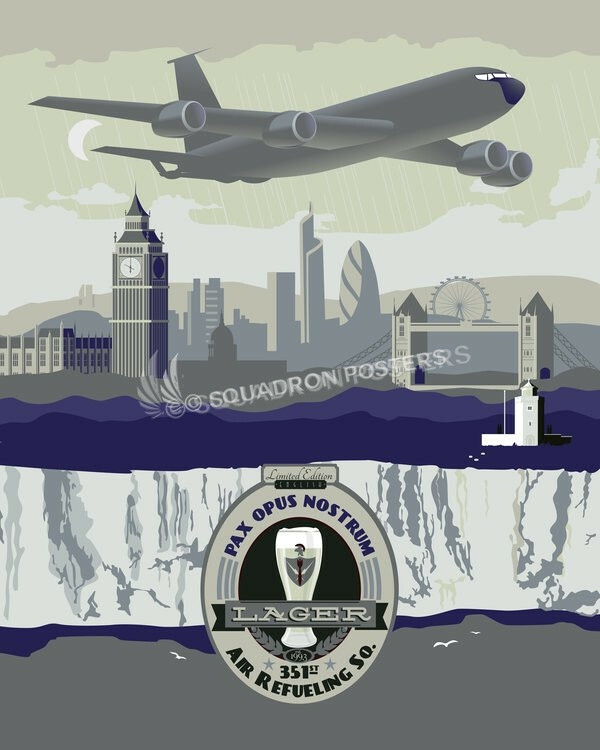 MacDill AFB 6 OSS KC-135 and C-37 poster art. The 6th Operations Support Squadron (6 OSS) falls within Air Mobility Command (AMC) and the 6th Air Mobility Wing (6 AMW) at MacDill Air Force Base (Tampa), Florida. 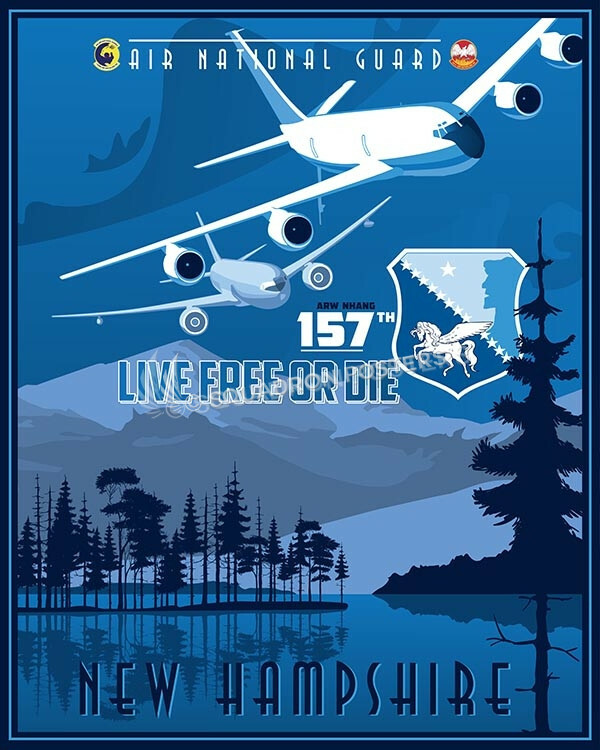 The Squadron’s Mission is to Support AMC’s strategy of global engagement, U.S. Strategic Command’s Nuclear Readiness, and provide VIP transport missions for U.S. Combatant Commanders, by employing the KC-135 & C-37 aircraft. 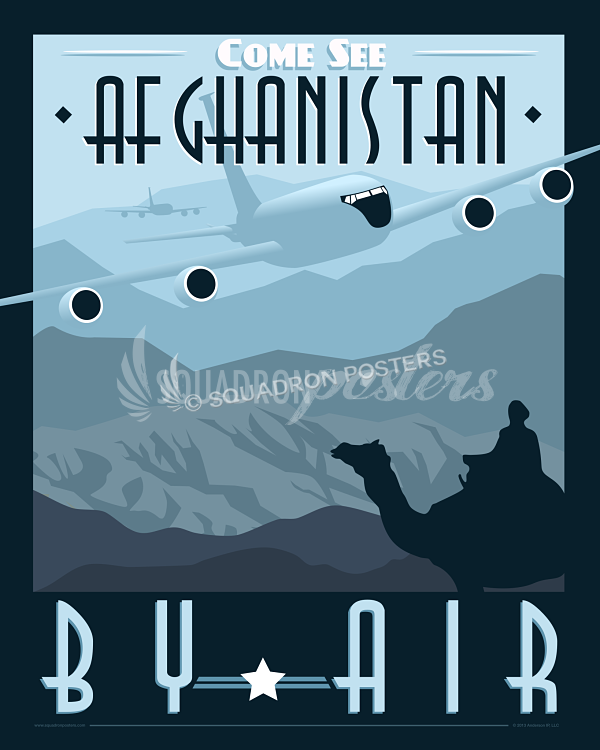 They do this through a number of functions, to include: Current Operations, Aircraft Flight Scheduling, Intelligence, Airfield Operations and Management, Airfield Systems, Air Traffic Control, Aircrew Flight Equipment, Weather, Aviation Resource Management, Combat Crew Communication, and Aircrew Training in areas such as: Tactics, KC-135R Simulator, and Survival, Evasion, Resistance, and Escape. MacDill AFB is in Tampa, Florida and is situated on the coastal waters of Tampa Bay. 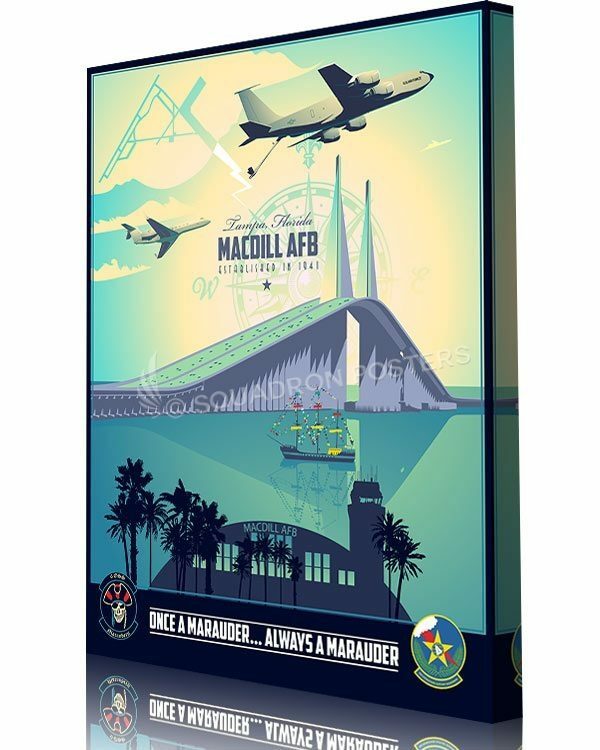 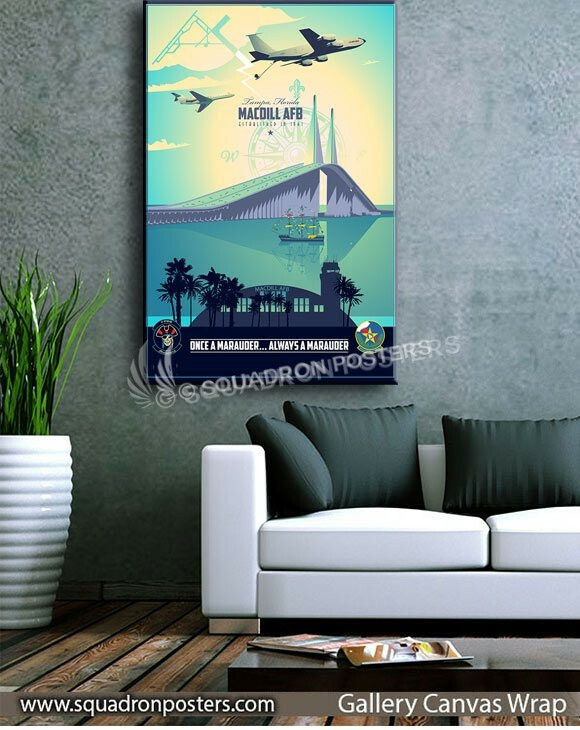 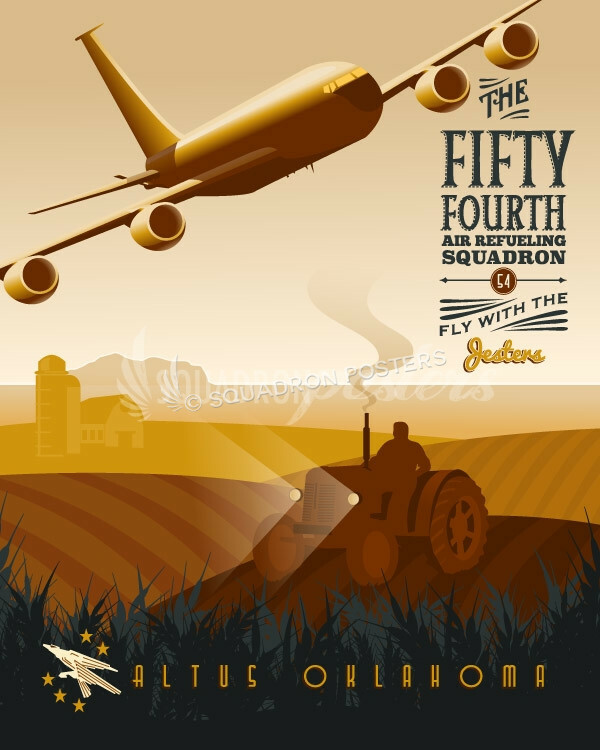 “MacDill AFB 6 OSS KC-135 and C-37” vintage style military art by – Squadron Posters!